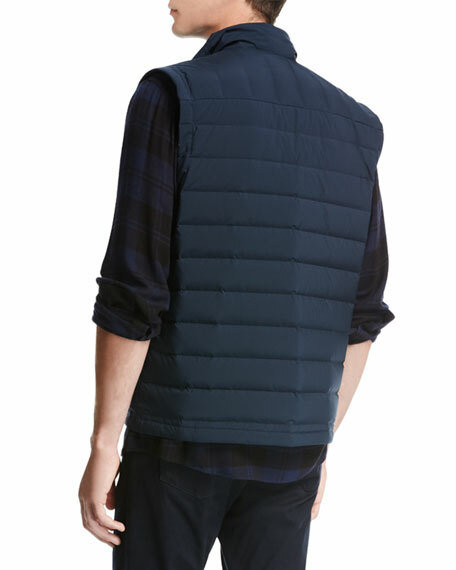 Vince utility vest in quilted tech. 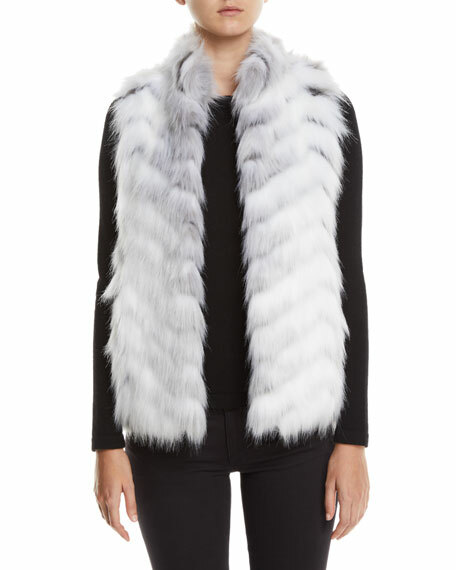 For in-store inquiries, use sku #2218537. 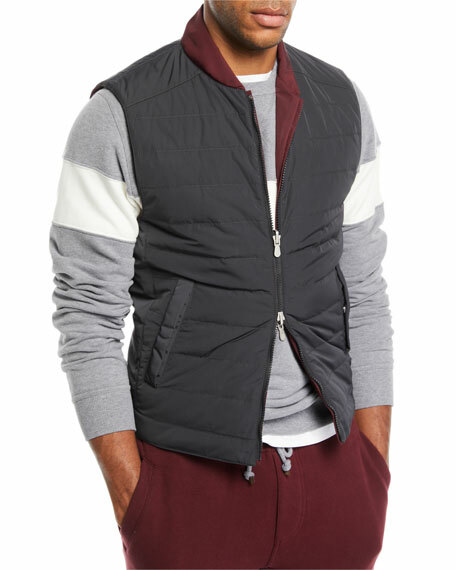 Brunello Cucinelli reversible padded vest with contrast trim. 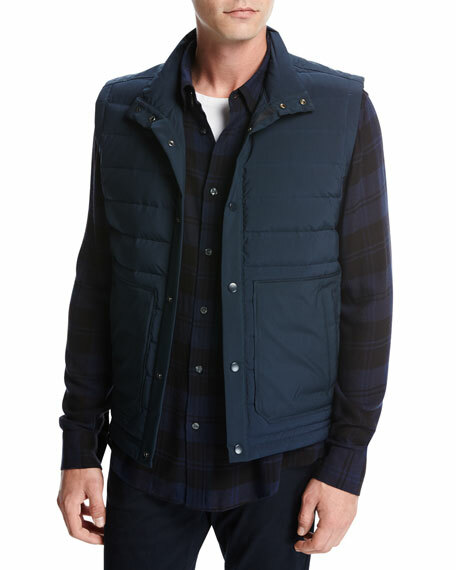 Baseball collar; two-way zip front. Side slip pockets. Straight hem. Polyester/nylon/polyurethane. Goose feather fill. Made in Italy. Model's measurements: Height, 6'1"/185cm, waist 30"/76cm, suit 38R, shirt 14.5x34, inseam 34"/86cm.